I read Desolation, the second book in this series earlier this year -- see my review here. It seemed to make sense to read the first book when I saw it also available on NetGalley, so I finally got around to it. Demon Road kicks off with a shocking opener and never lets up the pace in an epic road-trip across the supernatural landscape of America. 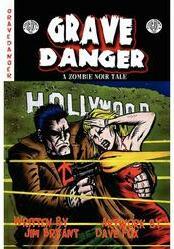 Killer cars, vampires, undead serial killers: they're all here. And the demons? Well, that's where Amber comes in... Sixteen years old, smart and spirited, she's just a normal American teenager until the lies are torn away and the demons reveal themselves. Forced to go on the run, she hurtles from one threat to another, revealing a tapestry of terror woven into the very fabric of her life. Her only chance rests with her fellow travelers, who are not at all what they appear to be. The blurb isn't kidding. This book starts with a bang and just goes on delivering one shock after another as Amber is hurtled from life as a solitary teen into running for her life under terrible circumstances. She is an appealing protagonist -- initially unsure with low self- esteem -- until a dramatic change also affects her personality. Fortunately, she isn't having to face this road trip alone. Milo ends up looking out for her, with his vintage Charger car. Inevitably, they run into yet more trouble and pick up another passenger, Glen. I really enjoyed Glen joining the team -- although I was a little uneasy at the racial stereotype that the Irishman who came to America looking for adventure isn't the sharpest tool in the box... However, his humorous intervention was very welcome in amongst the death and mayhem that follows their desperate race against Time. All in all, I found it an enjoyable, engrossing read, full of thrills and excitement -- but it isn't for the faint-hearted, or highly imaginative, sensitive young teens. 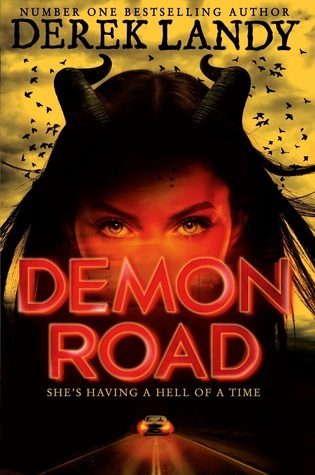 I received a copy of Demon Road from the publisher via NetGalley in return for an honest review.